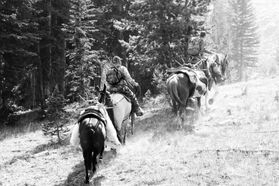 We offer traditional horseback hunts from our pack-in hunting camp. 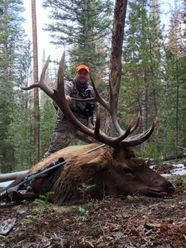 We average a 75 – 90% success rate on our elk hunts. All hunts include an experienced guide, gentle mountain horses picked especially for you based on the info you provide us about your riding experience, hearty, home cooked meals and wall tent lodging in our pack in camps or more modern conveniences of staying in cabins offered with our lodge hunts. 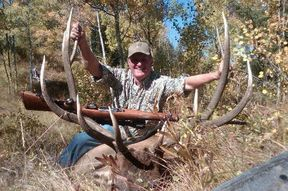 We start archery hunting as early as September 1 and our rifle hunts begin September 26 and run through mid October . This gives us the opportunity to hunt all the way through the elk rut and into the migration.